Cooking 5-6 new recipes a week, meal planning is a definite must for me. Here are some great things I have found from meal planning. 1. You can buy things in bulk and separate it for each meal. I want to tell you about one way you can do this easily with just a couple clicks of a button. eMeals makes meal planning easy, affordable. and totally doable! You put in your preferred grocery store and how large your family is, and they make your menu plan for the week. They include the shopping list, based on deals occurring that week at our grocery store. It is fantastic! I have used Emeals and love them! Life gets busy, and they make it that much more simple for you! This is one of the yummy recipes you may find in your meal plan. We made this and it was delicious. Don’t forget to check out eMeals! They really are menu planning/grocery shopping made easy! This looks so yummy, I can't wait to make it! Great picture! Mmm, wish this was in my slow cooker right now!! My husband loves BBQ Pulled Pork--looks like a great, easy recipe! I usually go to the grocery store everyday because I love to get my food fresh. I plan in the morning and then pick up what I need for Dinner. This recipe sounds so yum! I meal plan every week, and I love it! 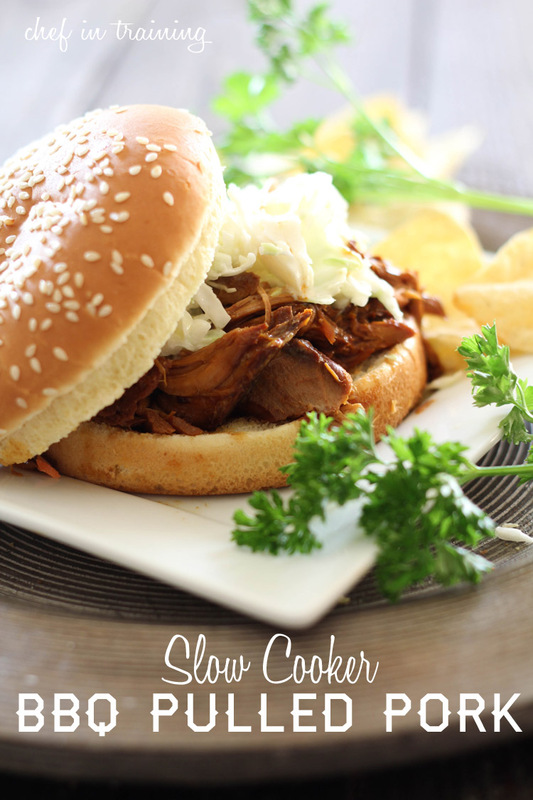 It saves time and money, especially after a long day :) and you know me, I love my slow-cooker meals! Actually, pulled pork is one of our favorites, but I'll have to try your version with the cola. Looks so tender! I love pulled pork and your pictures, so this is a must try. Thank you! Oh, I need to make this! If I don't want the coleslaw over it I don't need to get the mayonnaise, sugar or vinegar right? The BBQ sauce and cola doesn't cover even half of the pork...is that okay? Won't it be dry? Made the pulled pork last night. Let cool, separated pork from sauce and put in fridge. Today I scraped the solid fat off the sauce and boiled until half reduced to thicken. (Use the end of a wooden spoon to first measure the amount in pan and check every 5 minutes or so). Then shredded pork and added enough to reduced sauce. Add some salt to taste. What a great sandwich! Great sliders for a party, freeze some ... It's all so good!!! I used Sweet Baby Ray's barbecue sauce too.